The situation in Romania’s virgin forests is not good, and many forests are currently victims of illegal logging. 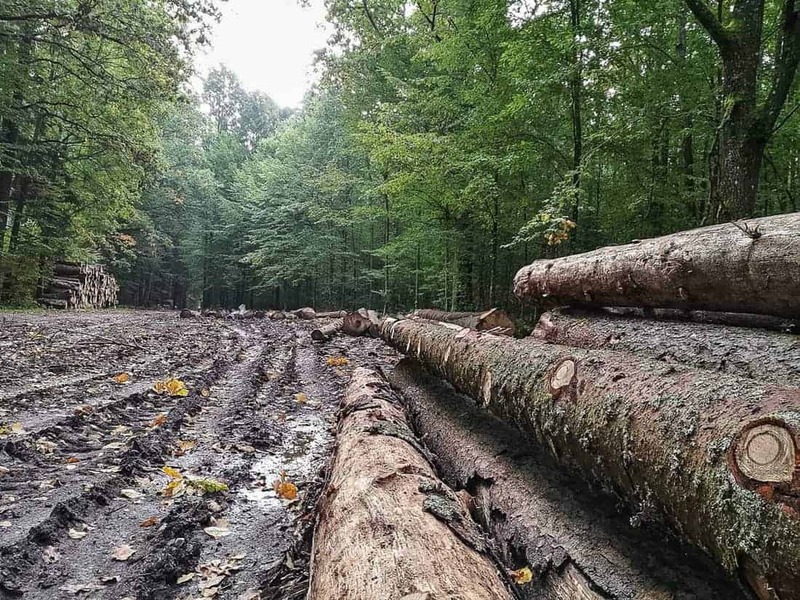 For example elsewhere on our website, we have previously written about Romania’s primeval forests in National Parks under attack, clear cutting crimes on illegal logging, and the scarily fast disappearance of Romania’s remaining virgin forests. We also published a Deforestation report on logging in protected areas and most notably in Natura 2000 Sites. The situation does not seem to be improving, despite several positive steps such as the development of a National Catalogue of Virgin Forests in Romania, and protests of local, national and international organisations. Please also read: Should we stop illegal logging in Romania? Romania’s forests currently account for 65% of Europe’s remaining primeval forest, although that percentage is decreasing daily. Because the logging situation of the virgin forests in Romania is worse than one can imagine. The main present target of the forestry authorities seems to be to log them all as soon as possible, being afraid that maybe ”tomorrow” they will not be able to continue. It seems that instead of being the most protected forests, the virgin forests are the most ”hunted” ones. Logging in National Parks: Where does the timber go to? Logging in the forests of Romania seems to be a never ending story. In the last several years there have been countless meetings, articles and protests. But still the logging is continuing. This happens even within protected areas. Recent news from Romania has been brought to our attention about the illegal logging in Calimani National Park. The real underlying question is where this illegally logged timber is ultimately being processed and sold. There are several timber companies active in Romania including Kronos Span and Schweighofer. Holzindustrie Schweigerhofer itself has pledged to stop sourcing timber from National Parks. It remains to be seen what happens with this timber and who benefits from it. A public protest took place in Brussels on 8th November, names ‘Save Europe’s Last Virgin Forests’. It was authorised by the Brussels authorities, with the condition that it was for maximum 100 people. The protest included excerpts from the ‘Out of Control‘ documentary series. The aim was to involve the European Commission, as in Romania authorities are for logging, and many logging initiatives are government policies. Money, business, corruption and greed are destroying our remaining fragments of European Wilderness at full speed. In this case Romanian Wilderness is disappearing. It is sad that this is happening in this day and age, despite an official Romanian government commitment to protect it. Kalkalpen Wilderness and WILDForest – New Publications!